Our high volume snow machines will produce lots of artificial snow at your next holiday party or event. The fake snow will come flying out of our snow maker machine. Our snow machines have a variable setting from fine to heavy snow output. We also offer a super high output snow machine that will blow snow up to 75 feet in the air and a silent snow machine with 33 foot hose for easier control of setup. Be sure to check out our snow slide for big events. You don't even need to know how to make snow because we have it all ready to rent in a pre mixed small compact snow machine available for customer pickup or delivery. Our snow machine comes with a 25' long wired remote control and you can adjust the size of snow flake from fine to heavy from the remote. It also has a 2 speed fan setting from normal to hi. We also rent lots of other holiday party rentals like tables and chairs, outdoor movie screens, trackless trains and sleigh rides. The higher the snow machine is placed the better the snow fall effect will look. The photo above shows the distance the snow will fly out of the machine on high fan setting with medium snow fall setting. 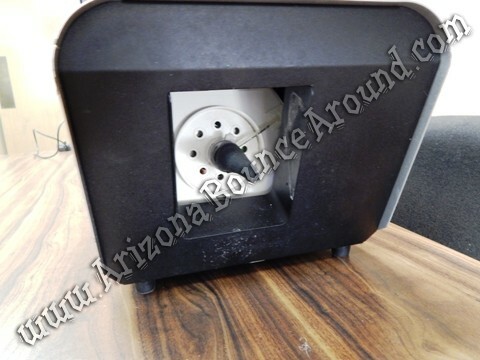 This snow machine can be placed on the roof of a house, on the top of a block fence or pointed upward on the ground. 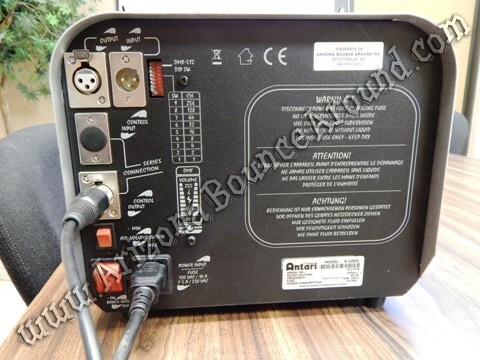 Our artificial snow machine rental price includes the commercial snow machine shown above with power cord and remote to control the output and turn the machine on and off from the remote control. This is the front of the snow machine. This is where the snow fluid converts to snow fall by forcing the fluid threw the strainer and blowing air around it at high speed. 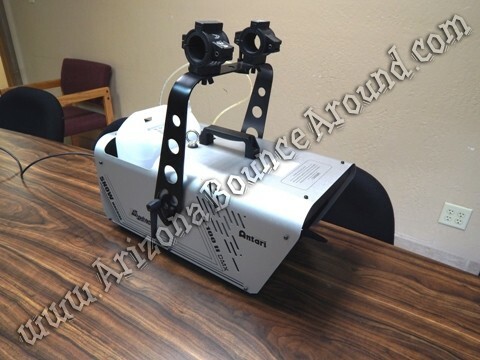 This is a professional snow machine used in movies and shows around the world in a compact snow machine perfect for DIY parties and events because its easy to setup and transport. 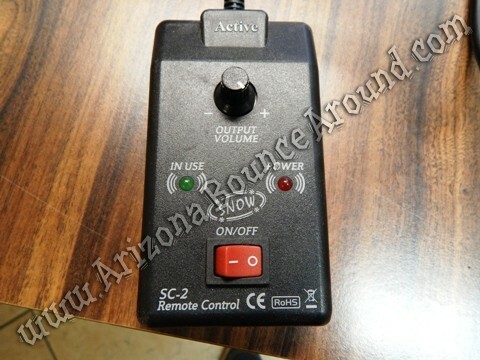 This is the remote control that comes with every snow machine rental and is very easy to use with power indicator lights and output volume to control the output of the snow flake size. The lighter the volume the finer the snow will be and the further it will fly. Heavier setting will increase the snow flake size to simulate heavy snow fall but the snow will not fly out of the machine as far and will use more snow fluid.